No, not the British HCT caster. Hearthstone‘s next Standard rotation year has officially been announced—it’s the Year of the Raven. The Year of the Raven will take over from the Year of the Mammoth when the first expansion of 2018 is released. There’s no date for that yet, but it will probably be in April. What that set is will be announced in a livestream on March 2. The Standard set contains the Classic set, plus all the expansions from the past two years. The rotation means that Whispers of the Old Gods, One Night In Karazhan, and Mean Streets of Gadgetzan will no longer be eligible to be played in Standard. Instead, players will have to play in Wild if they want to use those cards. To celebrate the rotation, Blizzard is offering a new Druid hero portrait—Lunara. Players can earn that by winning ten games after the set rotation. 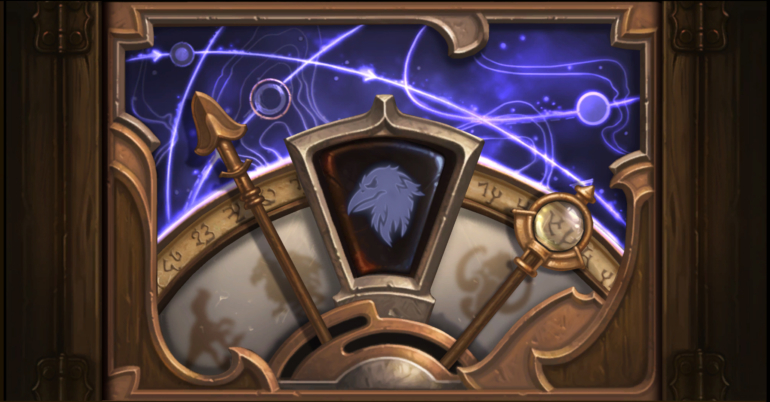 Part of the Year of the Raven will include some new features, including one of the most requested in the history of Hearthstone—in-game tournaments. The beta of this will launch in the middle of the year, with matchmaking and deck validation at launch. Blizzard will continue to iterate on the feature based on beta feedback.